The route known as B100 on a roadmap is better known as the Great Ocean Road and is one of the country’s most famous drives. From its eastern beginning in the city of Geelong, it takes travellers through seaside towns and pockets of rainforest on the way to the famous Twelve Apostles at Port Campbell. Along the way, the road enables an up close and personal experience with sheer limestone cliffs and the crashing surf of the Southern Ocean. I decided that the best way to experience this was to hire a car for the day which I did with a friend. On what turned out to be a wonderful day, my only regret was that we didn’t start earlier in the morning. Either that, or do the journey over two days because there is just so much to see and do! Not to worry though because we crammed as much as we could into the daylight that we had. The adventure started with a walk along the Geelong waterfront to admire the colourful painted bollards. Each of these delightful icons almost seem to have their own unique character and little story to tell. 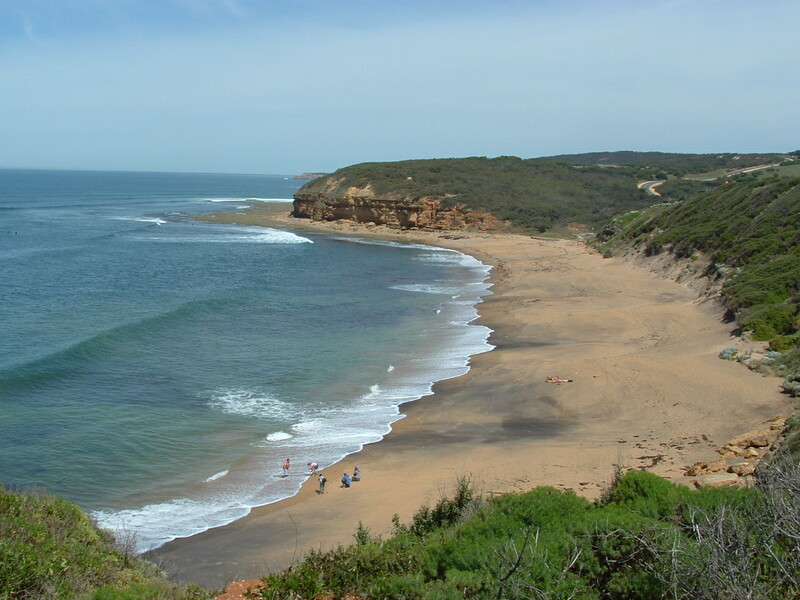 Just a short drive into, and arguably the beginning of the Great Ocean Road is the town of Torquay. Once a sleepy seaside town, it has now become the Australian surfing capital because of its close proximity to the world-famous Bells Beach. The fickle swell wasn’t really at its best as we passed through but it hadn’t stopped surfers getting out and hoping the long right-hander would give eventually them a great ride. I would have been happy to stay and watch but there was so much more to see! Onward we travelled through the town of Anglesea and Aireys Inlet with its 34m-high Split Point Lighthouse. We stopped briefly to get a few photos and read a little about the history of the keeper’s cottages that were built there in 1891. With its tall gumtrees and gleaming Loutit Bay, the picturesque town of Lorne was the ideal place to break for lunch. The road from here through to Apollo Bay offers some of the best ocean views before deviating inland through the rainforest at Cape Otway. It’s here that you can get unique views of the forest canopy from an elevated steel walkway which leads to a lookout tower. Unfortunately we had to speed past because time was pressing and Port Campbell was awaiting us. To get there we rejoined the coastline at the tiny town of Glenaire before returning inland and traversing the farmland of Lavers Hill. On an overcast or rainy day, this area can get seriously foggy but fortunately we had no such worries. The afternoon sun was glorious! Port Campbell is a small, windswept in the National Park of the same name. It is home to the Twelve Apostles which is the most famous and photographed stretch of the entire Great Ocean Road. For thousands of years the winds, waves and tides have combined to erode and carve a fascinating series of limestone rock stacks, gorges, arches and blowholes. The Apostles themselves are huge rocky stacks that have been abandoned to the ocean by the retreating headland. 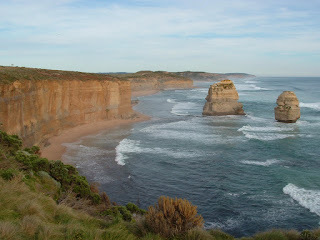 The interesting thing about the Twelve Apostles is that there aren’t actually twelve of them and there never have been. From the viewing platform it is possible to count seven and if you are in a boat or one of the helicopters that regularly buzz overhead you may count eleven of them. They were named ‘The Apostles’ because of their ability to attract tourists and the number twelve was added some time later. It’s a slowly evolving landscape. In 2005 a 70m stack collapsed into the sea and near the cliff base another one is gradually starting to form. Regardless of how many there are though, they make a spectacular sight. In the late afternoon sun we enjoyed amazing views from the lookout and also took the walk down Gibson Steps to the beach that affords a close view of one of the Apostle stacks. As the evening light was perhaps at its best we made it to Loch Ard Gorge named after a famous shipwreck and eventually to London Bridge. This rock formation was originally linked to the mainland by a natural bridge but collapsed in 1990 with terrified tourists stranded on the world’s newest island. They were eventually rescued by helicopter with an incredible story to tell! The first place I wanted to visit in Carlton was the Old Melbourne Gaol. Built in 1841, it was used until 1929 and then became a museum to 19th century justice. It’s a rather chilling experience exploring the bleak little cells and seeing the place where over 130 prisoners were hanged for the crimes. The most famous of them was the legendary bushranger Ned Kelly who heard the clang of the trap here in 1880. His last words before the moment are reputed to have been ‘Such is Life”. Just a short walk from the gaol is the pretty Carlton Gardens. 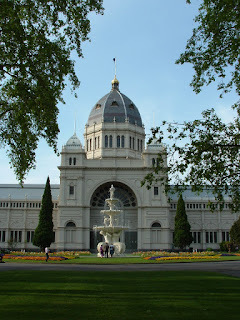 Set amid the lawn and trees is the magnificent Royal Exhibition Building that was built in 1880. Australia’s first parliament was held here in 1901 and over a hundred years later it hosts everything from trade fairs to dance parties. Immediately behind the great hall is the Melbourne Museum which offers a grand sweep of Victoria’s natural and cultural histories. One of the most fascinating displays is the unusually large heart of the legendary race horse Phar Lap. The following morning I returned to the same part of the city to experience the Queen Victoria Market in action. Operating for over 130 years, no visit to the city is quite complete without some shopping here. Whether you need fresh produce, meat, fish, clothing, souvenirs or jewellery you’ll find it at the Queen Vic. So after wandering the huge array of stalls for a couple of hours I made my way through Flagstaff Gardens and south down to where the mighty Yarra meanders its way under various bridges that connect Southbank Promenade to the city. I was going on a ferry ride. This little journey would take us initially past the Polly Woodside Maritime Museum named after the 1885 iron hulled merchant ship which is anchored outside. We then passed through the Docklands area which was the city’s main industrial docking area until the mid 1960’s. Thirty years later it was redeveloped with a studio apartment complex, retail and entertainment areas. After sliding under the mighty West Gate Bridge, we soon arrived at the historic seafaring town of Williamstown. On a warm sunny day, the seaside charm was almost idyllic although I imagine that in another season it could be rather bleak and windswept! 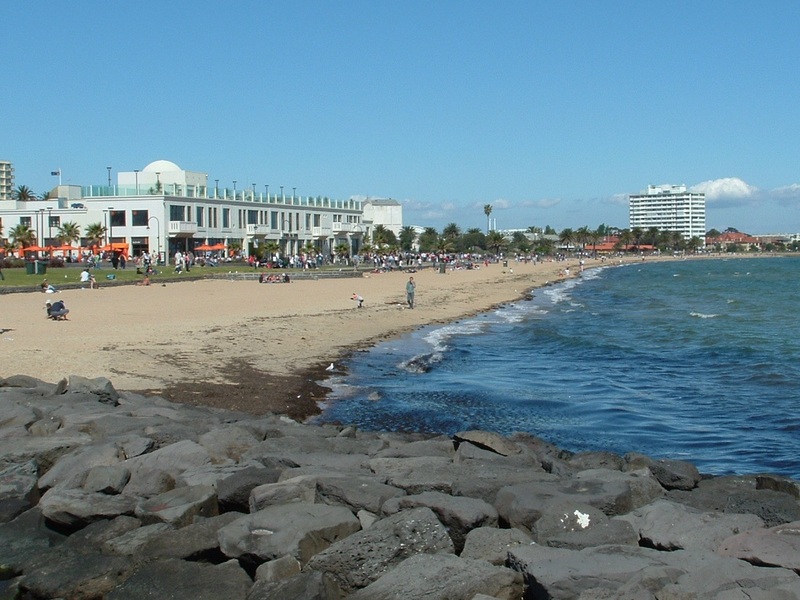 Either way though, there is an interesting history to explore by walking through the town and around the peninsula that overlooks Port Philip Bay. Instead of taking the train back to the city I took another ferry across the bay to St Kilda and after enjoying an ice cream and wonderful sunset, took one of the regular trams back to the city. It was then time to explore beyond the city itself and the perfect place to start was a day trip into the Dandenong Ranges. Just 35km east of Melbourne, one of the highlights in this area is the restored steam train calling Puffing Billy. 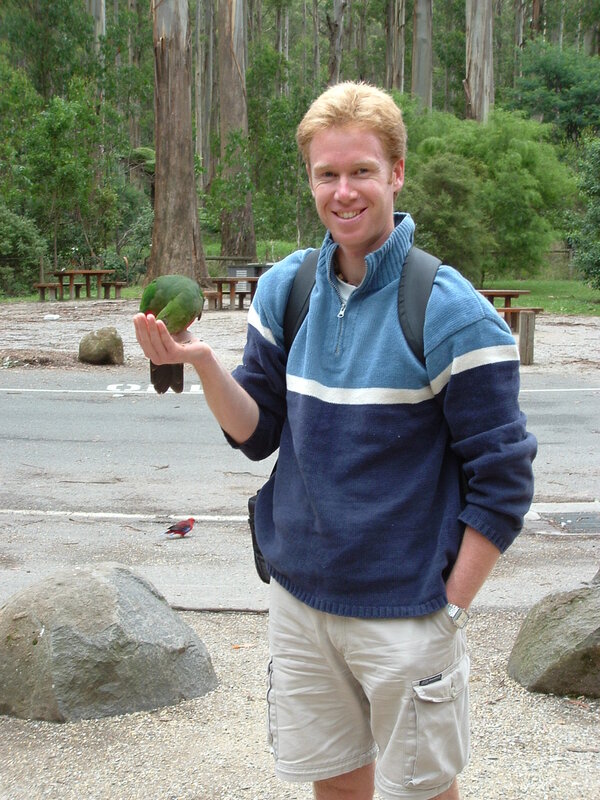 That aside, there is plenty of good bushwalking and wildlife spotting, including the 1000 Steps Track in the Ferntree Gully area. I did this hike which leads up to the One Tree Hill picnic ground and is true to its name! I also had time to complete the 7.5km loop through the pretty Sherbrooke Forest. When I arrived the winter football season had finished but it was spring and summer was approaching. 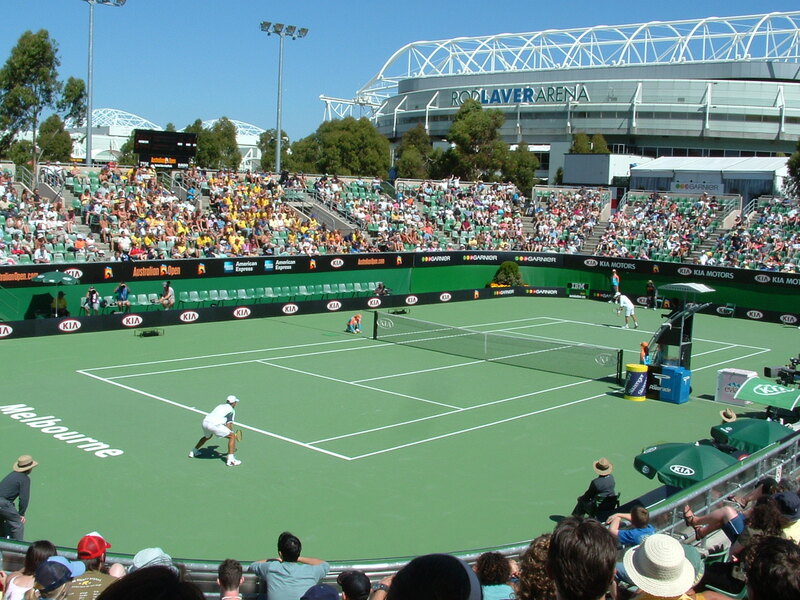 With world class stadiums, arenas, grounds and courts, Melbourne is the sporting capital of the country and I planned to enjoy iconic events such as the Melbourne Cup horse racing, international cricket at the MCG, Australian Tennis Open and the Formula One Grand Prix motor racing. Having read about and seen them on TV so it was a thrill to finally be able to experience them live. Like little ticks on my bucket list, I now knew what it was like to actually be there. I decided that I just couldn’t leave Melbourne without exploring the stunning coastal scenery of Wilsons Promontory. So with another friend, we hired a car and set off southeast from the city to the small settlement of Tidal River on in the Wilsons Promontory National Park. From here, we pushed what is often a four day circuit of the rugged peninsula into what was a fantastic three day hike. A highlight of the circuit is undoubtedly the white sands of Waterloo Bay but the views from Boulder Range down to the southernmost point of the Australian mainland compete very well! On the way back to Melbourne, we detoured across the road bridge to Phillip Island. Apart from the rugged scenery and relaxed environment, there are two main reasons tourists arrive here: the Grand Prix motor racing circuit and the penguin colony. We visited the History of Motorsport Museum which focuses largely on the motorcycle racing that has been held on the island since 1928. Unfortunately time didn’t allow us to stay until dusk to see the penguins coming in but we enjoyed a walk around the windswept point called the Nobbies before continuing on our way. From Sydney it is a 14 hour bus journey to the Victorian capital of Melbourne. The route goes through the picturesque Australian capital of Canberra. A short break here enabled views across Lake Burley Griffin to Parliament House. It’s a destination that I’d love to visit again one day with more time and enjoy the treasures contained in the National Museum, Art Gallery and Mar Memorial. For now though, I was heading to Melbourne to house sit for my uncle, explore the sights and enjoy the various summer sporting events that the city hosts every year. 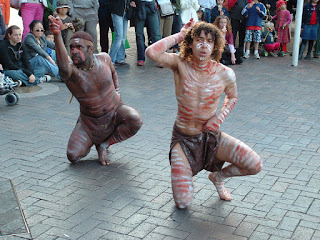 Melbourne is a magnificent city that offers something for everyone. Whether you visit for the shopping, food, entertainment, sport, history or culture you are sure to feel a great sense of satisfaction here! As many people do, I started my exploration in the grid of streets that make up the central business district. Bourke street is the heart of this commercial precinct and this pedestrian mall was thick with trams, shoppers and the sounds of Peruvian bands busking in the spring sunshine. 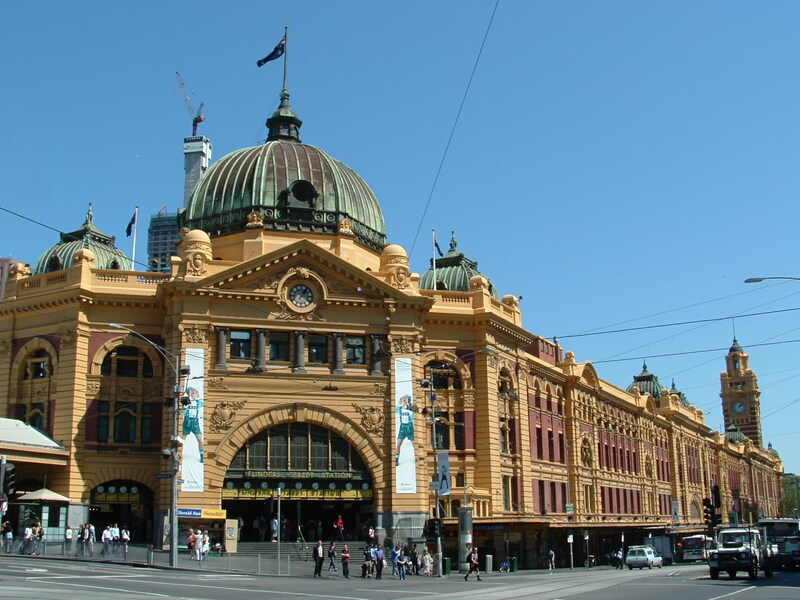 Just a few blocks away is the famous corner of Swanston and Flinders Streets. 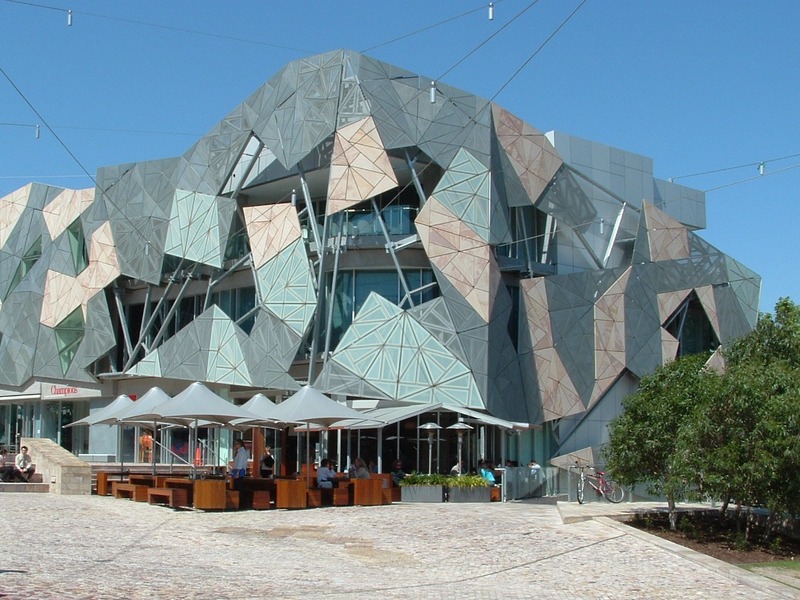 It’s here that the grand old St Paul’s Cathedral overlooks the flamboyant modern architecture of Federation Square. Just opposite the square is distinctive shape and colour of Flinders St Station which is the city’s major transport hub. 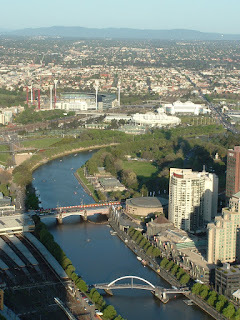 And between them is the beginning of the Princes Bridge which traverses south of the muddy brown Yarra River. There’s so much to see in Melbourne that it could literally keep you busy for weeks. Immediately southeast of the CBD is the vast Royal Botanic Gardens that includes Government House and the Shrine of Remembrance. I continued south from the gardens to Albert Park where the Formula 1 motor race speeds around the pretty lake in March each year. From there, it’s not far to the iconic suburb of St Kilda. St Kilda is probably the best place in Melbourne if you like people watching. It always seems to attract an interesting cross section of locals and is also a popular place for backpackers. 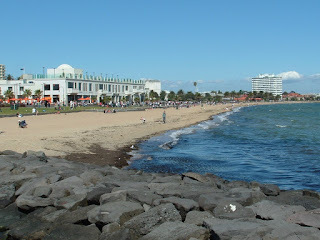 The palm-lined stroll along the foreshore offers wonderful vistas of Port Philip Bay and almost perennial briny sea breezes. The Luna Park amusement park was opened here in 1912 and contains the heritage-listed scenic railway which is in fact the oldest operating roller coaster in the world. I took a day to explore the suburbs of Fitzroy and Carlton just north of the inner city. I started at the lovely Parliament House which offers free half hour tours and overlooks the pretty Fitzroy Gardens. The highlight here is Cook’s Cottage that is set amid English elm trees, flower beds, fountains and expansive lawns. This cottage belonged to Captain Cook’s parents and was shipped from Yorkshire in packing cases and carefully reconstructed in 1934. Nearly is the ornately carved Fairies Tree. From the Gardens, it’s only a short walk to the sporting precinct which contains the mighty Melbourne Cricket Ground. This huge stadium is one of the world’s great sporting venues and hosts both cricket and Australian Rules football matches. I’m planning on going to a couple of cricket matches over the summer while I’m here and especially looking forward to the Boxing Day test match. Just over the railway line is Melbourne Park which is where the Australian Open tennis is played each summer. The following day I started where the bus terminated at the rather dishevelled Circular Quay transport hub. The old Customs House built in 1885 is a handsome contrast and was the beginning of a pleasant walk through the heart of the city that took in the historic St James Church and St Mary’s Cathedral near the park. The detour to see the impressive Town Hall was worthwhile because of its fabulously ornate exterior is matched by the elaborate chamber room and concert hall inside. From there it’s only a short walk across to Darling Harbour which is a modern redevelopment of what used to be an industrial dockland of factories, warehouses and shipyards. 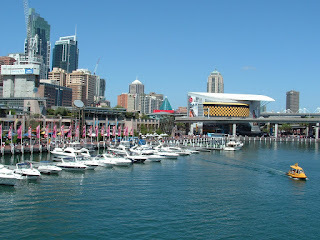 I found this area to be a rather confronting skyline of expressway flyovers, the convention centre, chain hotels and overpriced shops and restaurants but there are a few good attractions to be found such as the aquarium, maritime museum and the interactive Powerhouse science museum. 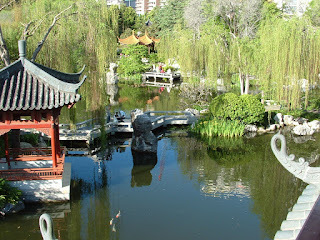 I finished my day in the thriving Chinatown and tranquil oasis of the Chinese Garden of Friendship. 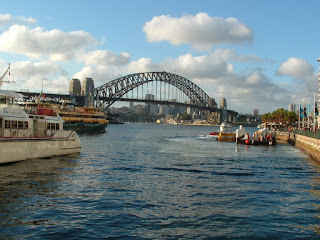 No visit to Sydney is quite complete without a trip across the harbour so the next morning I took a ferry bound for the Manly on the northern Peninsula. 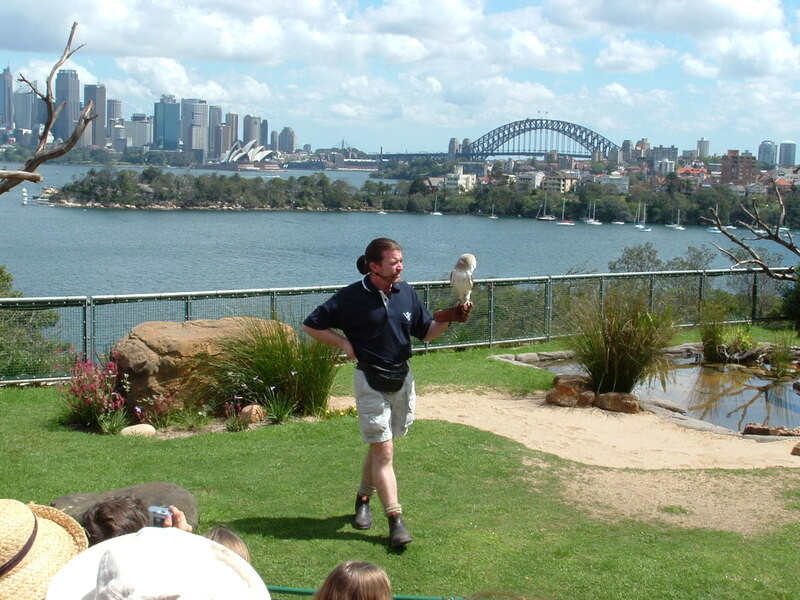 After a few hours of exploring the beach and scenic walkway I headed to Taronga Zoo to enjoy both the animals and also the phenomenal views that the zoo has back across the harbour to the city. 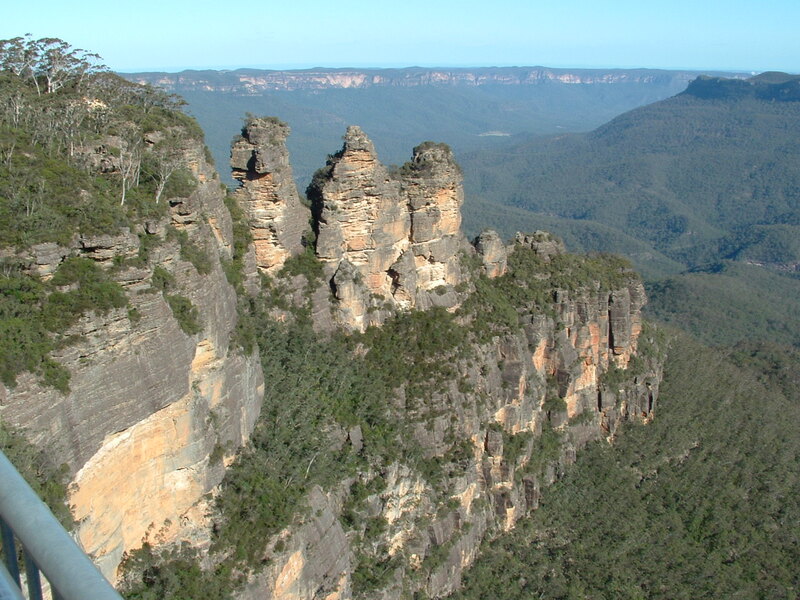 Before leaving, there was something on the bucket list that needed to be ticked off: the spectacular Blue Mountains. The foothills begin 65km inland from the city and rise to an 1100m-high sandstone plateau from which numerous valleys have been gradually eroded. The slate-coloured tint that gives the mountains their name comes from a mist of fine oil that is exuded from the huge eucalyptus gum trees that form a dense canopy across the landscape. 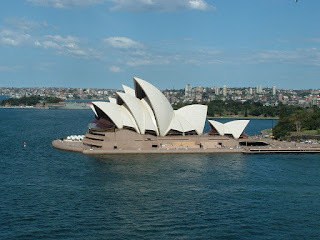 It’s a World Heritage listed area and makes a perfect day trip from Sydney. Travelling with a friend, we decided to skip the expensive organised tours and jumped on a train to the region’s main town of Katoomba. From the train station, it’s a pleasant 2km walk to the visitor information centre and the Echo Point viewing platform. We did a few of the walks from Echo Point that offered spectacular views of the Jamison Valley and the Three Sisters rock formation. While they aren’t mountains like we have in New Zealand, there wasn’t any disappointment at all and if anything, I wished that we’d gone for the whole weekend instead of only a day. In small town New Zealand I stared at the calendar on my office desk. Time was slipping away; days into weeks and weeks into months. I was stagnating in my job and wanted to travel. But I didn’t know where to start. It’s a small world but if you really examine a world map, the options are bewildering: Asia, Europe, Africa, America, the Pacific Islands or Australia? Australia - it's a huge country! 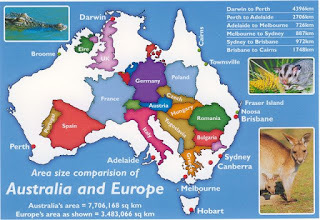 Australia is our nearest neighbour and I didn’t even know exactly what it was - an island, country or even a continent? In the end, it didn’t matter because it was the perfect place to start my travels. It’s the essence of diversity. In between the exciting multicultural cities there were arid deserts, colourful coral reefs, green forests, snowy mountains and sandy beaches to explore. It all made sense: I didn’t need a visa, could work along the way and be in no rush. I thought it might take a year and in the end it stretched to 18 months. In fact, it’s never really ended because I now live there! It was September; winter was over and the weather was warming. My uncle wanted a house sitter in Melbourne and in the meantime my friend in Sydney had invited me to spend a week there. It all fell into place and I began my journey around Australia in the. 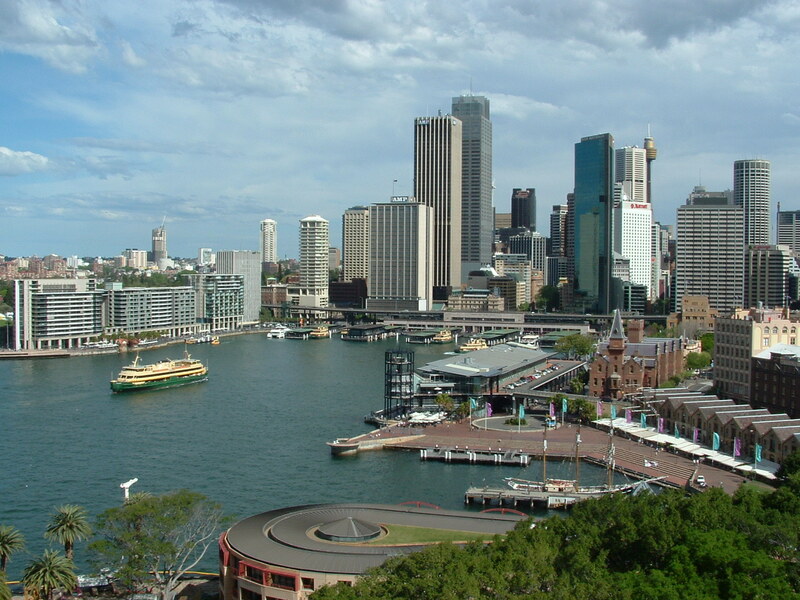 The attractive and vibrant city of Sydney is the state capital of New South Wales. It is built around one of the most beautiful natural harbours in the world and boasts two of the country’s major icons in the Harbour Bridge and Opera House. With a fascinating history and modern diversity I couldn’t wait to start exploring! The friend I stayed with had an apartment in the affluent suburb of Bondi. 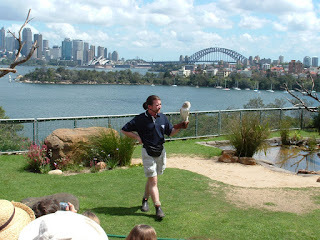 He lived near Bronte beach which is a couple of kilometres south of the famous Bondi beach. It’s a lovely walk between the two of them, especially early on a spring morning. After that, it was on a bus to the central city where I started my exploration at the huge Coca Cola sign on Darlinghurst Road. This city icon marks the beginning of the somewhat bizarre arrangement of tacky tourist shops, strip clubs, backpacker hostels, cafes and bars that make up Kings Cross. This area is better at night so I made my way down to the huge Hyde Park that houses the Royal Botanic Gardens and NSW Art Gallery. Out on Bennelong Point is the majestic white, sweeping curves of the Opera House where I joined the usual throng of tourists admiring its unique shape. 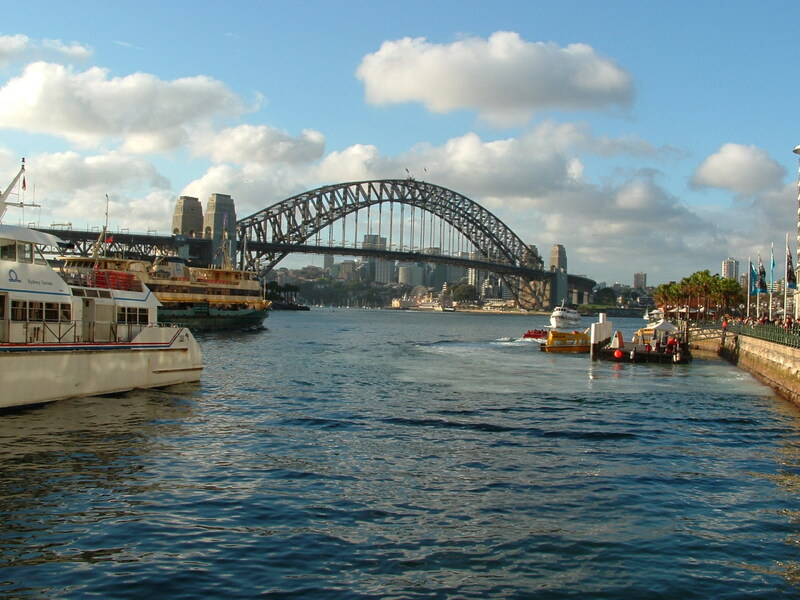 A short walk around Sydney Cove is Circular Quay which is a major transportation hub for buses and ferries across the harbour. I took some time to enjoy the buskers and indigenous entertainers who use this area. There are grand views of the Harbour Bridge from all around Sydney Cove and it’s a popular place for buskers, tourists and locals alike, especially on a warm spring day! I took a walk around The Rocks which is a historic enclave which is the site of Sydney’s first European settlers. Although it has significant cultural and architectural heritage, I couldn’t help feeling that it’s also become a tourist trap of trendy cafes and overpriced souvenir shops. So I carried on my way up the huge set of steps that lead up the Bradfield Highway which leads north over Port Jackson on the Sydney Harbour Bridge. 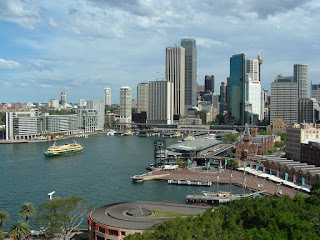 There is an adventure climb enables views from the top of the structure and while I’m sure they are spectacular, I was very happy admiring Circular Quay and the city skyline from the road level. Across in the other direction, I could see Sydney Harbour National Park and Taronga Zoo. I then did the short journey up the coast to the beach town of Hikkaduwa. Like Unawatuna, this long strip of beach has been exposed to uncontrolled development which has led to terrible erosion. What probably used to be palm trees has now given way to an almost unbroken string of guesthouses that compete to be the closest to the lapping waves. The unfortunate result is that in some parts the sand has almost completely disappeared. Some of the guesthouses are holding back the water with nothing more than sandbags and grim hope. That being said though, in some places there are wide expanses of sand and it remains one of Sri Lanka’s most popular tourist destinations. The surf is good and there are always board riders out just waiting for the next perfect wave to ride. There is a coral sanctuary a few hundred metres from the shore which is popular with snorkelers and glass-bottom boats tours. It is also scuba diving season so there’s plenty to do apart from working on your tan. Away from the beach there is a temple to visit and a long line of souvenir shops and restaurants all vying for the tourist dollar. After 40 days of fairly intense travelling this was finally an opportunity to slow right down and enjoy my last couple of days in the subcontinent. I stayed at a nice little place right on the beach. Literally right on the beach… So time was spent relaxing, swimming and late in the afternoon playing some beach volleyball with the local boys. To compliment all that, the sunsets over the ocean here are beautiful and the evenings bring on a new atmosphere that isn’t there in the heat of the day. Five hours travel up the coast after completing a transit through Colombo was my final destination of Negombo. This modest beach town receives a significant number of tourists simply because of location just 10km from the airport. For many it is the ideal place to either begin or end your Sri Lankan journey. That aside, it’s a historically interesting place and was at one stage one of the country’s most important sources of cinnamon. 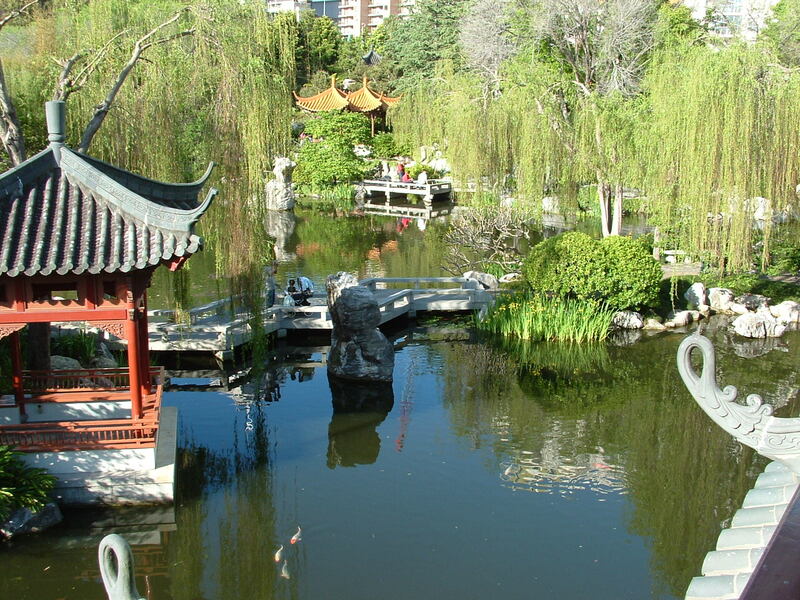 For the more natural-minded there is also a lagoon, canals and the beach. The Dutch captured the town from the Portuguese in 1640 and built a large fort to protect it. All the remains today is a crumbling wall and gateway with the date 1678 inscribed into it. The actual fort area is now the town’s prison which somehow doesn’t seem like the most appropriate use of such a notable place. Nearby is the bustling fish market which was a hive of activity, even though most of fish are sold early in the morning. It’s a smelly place and you have to watch your step in places but certainly worth the visit. Also in the same area is a rather rundown place ironically called the New Guest House. Perhaps in 1958 it was new and in much better condition because it is where Queen Elizabeth II stayed during her visit to the town. Negombo is strongly influenced by Catholicism (the town is sometimes referred to as “Little Rome”) and is dotted with churches. The most impressive of these is St Mary’s with its beautiful stain glass windows and amazing paintings that cover the ceiling above the nave. A couple of kilometres to the north of the town area is Negombo Beach. The Dutch showed their love of canals here like nowhere else in the country. In the surrounding area they extend distance of over 120km. I followed one of them toward the beach which was a pleasant walk. The beach itself…well, let’s just say it’s not that alluring. Rather polluted looking water whipped up by a strong breeze pounded into sand that wasn’t without some litter strewn along it. A few brave souls were in the water but only a few. And I wasn’t one of them. I finished my day trip with a late afternoon stroll around the much prettier lagoon. It’s a good place for bird watching and also important for the local fishing industry. Most of the catches come from the open sea but the lagoon is renowned for its lobsters, prawns and crabs. As the sun dipped toward the horizon it brought an end to this extraordinary journey. As I imagined it’s one that has included many amazing sights, sounds, smells and tastes. With only the most rare exceptions, the people that I’ve encountered in both countries have been invariably warm, friendly, helpful and charming. This is one of the reasons people love travelling the subcontinent and want to return again. When I was in Kandy I met a man from Denmark who told me that it’s the middle of winter back home. Days are gloomy and cold. As an escape, he’d come to Sri Lanka on holiday for the past three years. He told me it’s a country with centuries of rich history, a beautiful climate, diverse and very scenic landscapes, delicious food and lovely people. “Why would I want to be anywhere else?” he asked me. To that question, I couldn’t give him any answer. Why not indeed! Unawatuna itself is all about the beach but to be honest it’s not ideal for swimming, especially for tourists with young children. Waves crash in with surprising force and get sucked out again by an even stronger undertow. It can be fun though lying in the shallows and letting the water move you up and down the sand. I shouldn’t laugh but I watched the hilarious sight of a woman being knocked off balance by the water and as she stumbled around desperately trying to stay upright crashed into her husband sending them both into the surf! Despite being a popular tourist destination, it’s an idyllic place and it’s difficult to imagine the horror that must have occurred on Boxing Day 2004. Although reconstruction happened faster here than any other place in Sri Lanka you can’t help but feel some mistakes have been made. Some of the guesthouses are so close to ocean that during big tides there’s almost no beach left in places because the water is virtually at their doorstep. With the subsequent erosion that is caused, they could be washed away a second time within a few years! I did a hike over to more isolated Jungle Beach. As the name would suggest, it’s where lush green bush descends down a hill to meet a crescent of sand that warm, clear water gently laps onto. It’s a lovely place where I had a swim and sat under a palm tree for a while. This little touch of paradise isn’t exactly a well-kept secret though and as more people arrived I began my hike back. The walk took me past a huge white Peace Pagoda and a nearby temple adorned with large sitting and standing Buddha images. This was a day where I wasn’t in a hurry and it gave me an insight into how delightful the Sri Lankan people are. The first man I met was a guesthouse owner with a remarkable knowledge of New Zealand so we chatted for a while sipping coconut milk from his fridge. When I lost my way going back through the jungle I asked a local man for some help. Before giving me directions he asked if I’d like to come in and have some tea with his wife and sister. They were a lovely family and although they wanted me to stay for some curry rice I had to keep going. My destination was the interesting Weherahena Temple, a few kilometres from Matara. It’s most striking feature is the 39-metre high sitting Buddha that overlooks the complex from one end. It is huge and looks magnificent after a repaint just a few months ago. Aside from that, there is a large underground chamber and hallways adorned with numerous colourful murals along the walls and across the ceilings. It’s an extraordinary place to visit and made even better by being able to ascend the stairs behind the Buddha to a viewing platform near his head. I finished my day at Mirissa Beach which is where I had considered staying a few days prior. It’s similar to Unawatuna but development seems to have been more respectful to the natural shoreline. As a result, there is a broader expanse of sand to enjoy and it has swaying palm trees along much of its length. I had another swim and by coincidence, met up with a couple that I’d previously spent time with in Haputale. We had dinner together before I caught one of the regular buses that ply the southern coastal road towards Galle. My friends laughed when my dinner came out from the kitchen. From the pizza list that included sausage, ham, mushroom etc I chose pineapple. I thought it was a bit odd that they asked if I’d like honey on it but thought it seemed an interesting idea. When my meal arrived I just stared for a moment at what I’d been given. My ‘pizza’ was chunks of deep fried pineapple topped with vanilla ice cream! And the honey. It would have been a great dessert but I wanted real pizza that comes in a cardboard box and eaten while wearing pyjamas in front of the TV. The following morning I visited the village of Koggala to see the iconic sight of the stilt fishermen. In this ancient fishing method, they sit on a cross bar called a petta which is attached to a vertical pole driven into the reef. Although it can't be very comfortable they sit holding their fishing rod in one hand and the pole with the other. Generally speaking, it is out of season and those that still do it generally use the very early morning or late afternoon. So I wasn't hopeful of seeing too much but I was fortunate to find one of them when I was there. He even reeled in a little fish while I stood and watched. It was then a long day of bus travel down to the southern coast. The estimated six hours stretched to over eight by the time I finally reached my destination. When I started that morning I didn’t even know exactly where I’d end up. I had a couple of days up my sleeve and there are a number of beach towns along the coast that I could have chosen. I eventually decided that Unawatuna was the best option because the name has such a ring to it. Well, actually more because it has a lovely curving stretch of beach and its close proximity to Galle but the name is just great isn’t it? My final challenge in the gathering gloom was to find a place to stay which I knew wasn’t going to be easy. It’s peak tourist season now but after some searching, I found myself a nice room at a very reasonable rate. Staying in Galle itself is quite expensive so I thought why not have the best of both worlds? The city within a ten minute bus ride but cheaper accommodation and the beach to welcome me home after a hot, sweaty day’s sightseeing. The steamy heat of the coastal lowlands has been quite different to the fresh mountain air I’d become used to in the Hill Country! Galle reminds me a little of Melaka in Malaysia because of its rich maritime history and occupation through various periods by the Portuguese, Dutch and British. The older part of the city is built within the fort walls and is a wonderful collection of Dutch colonial buildings, little boutique shops, cafes, hotels, churches, a mosque, library, museums and a few commercial buildings. Unlike the typical Sri Lankan tangle that is the new town, these streets are blissfully quiet and atmospheric. The 36-hectare fort covers most of the promontory that is the original part of Galle. I climbed up onto the massive walls and walked a complete circuit of the fort. Starting at the main gate, I passed the original old gate and a number of bastions located at strategic points. It was interesting to note how the part of the wall facing inland was the most heavily fortified. 350 years after its construction through it all remains very robust and this was proven when it protected the old quarter during the 2004 tsunami. In contrast, the new town and much of the surrounding coastline was devastated. Historically, the most interesting building in the fort is the Dutch Reformed Church that was completed in 1755. The floor is paved with gravestones from the old Dutch cemetery, with the oldest dating from 1662. I’m not sure that it is still used but the original pipe organ from 1760 sits in the church and the pulpit is made from Malaysian wood that would have been brought to Sri Lanka on a trading ship. Next door to the church is the Amangalla Hotel built in 1684 to house the Dutch governor and officers. History abounds at almost every corner you turn in this wonderful place. There is a bell tower built in 1901 and a slab over the doorway to the Dutch Government House bears the date 1683. There is an old shipping office with a beautifully preserved 19th century ship arrival board on the front wall. The National Museum (yes, another one) was closed but I did visit the Maritime Museum. This has been renovated recently and just reopened again a couple of years ago. I found it to be more museum than maritime but the displays were well put together anyway.